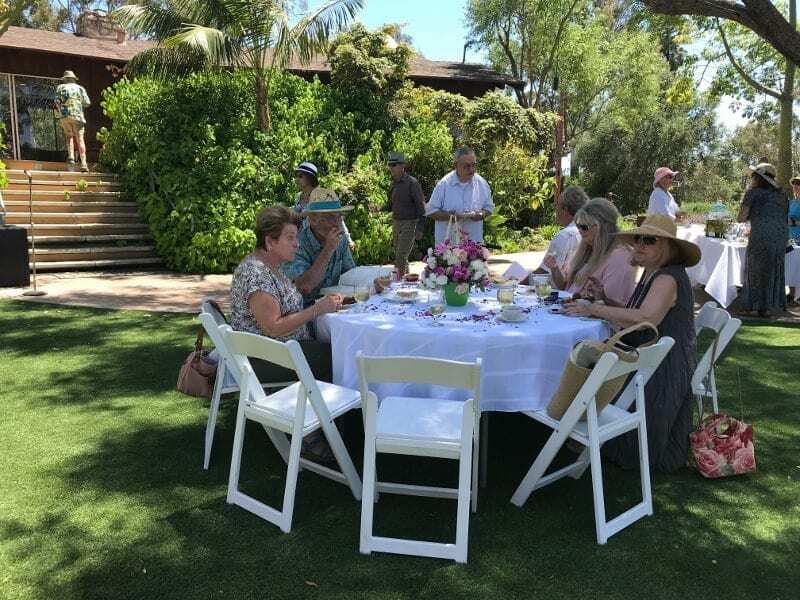 Alta Vista Botanical Gardens hosted an elegant afternoon tea party for the Grand Opening of the Ivy Bodin Reception Rose Garden. The backyard of the Garden House was newly renovated with a donation left by Ivy Bodin. 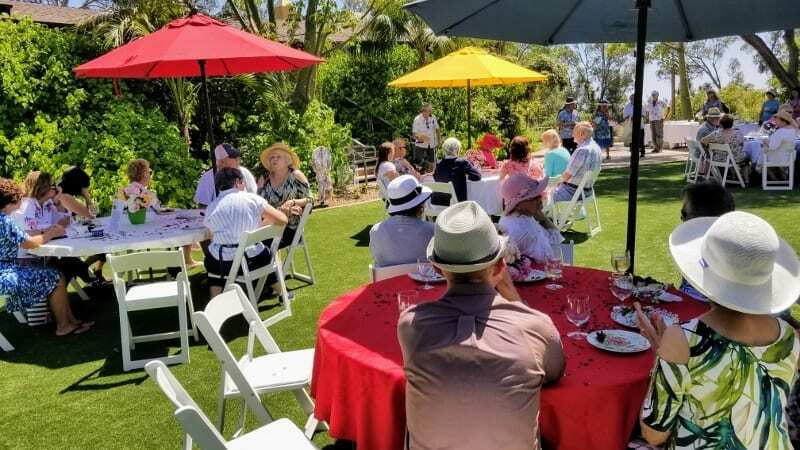 A new patio, artificial turf and new rose plantings designed by Naomi Stein and constructed by PWLC I, INC. Landscape Construction was installed in March. 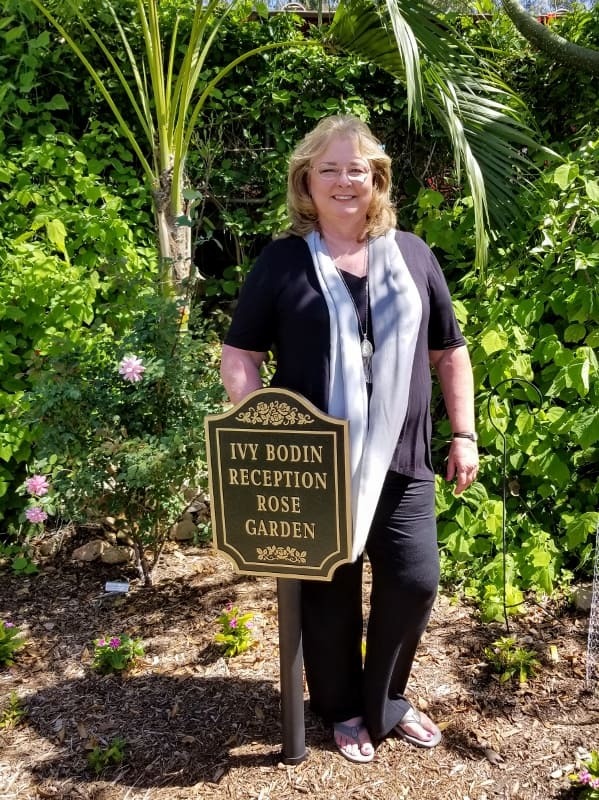 Becky Yianilos, a Rosarian and good friend of Ivy Bodin was able to locate 85 heritage roses and supervise their placement and installation. Many of the roses are rare and as this rose garden grows it will become a unique world class heritage rose garden and showplace. Ron Holloway, President of the Gardens gave an introduction and Nancy Jones gave a brief synopsis of Ivy’s work with the Gardens. 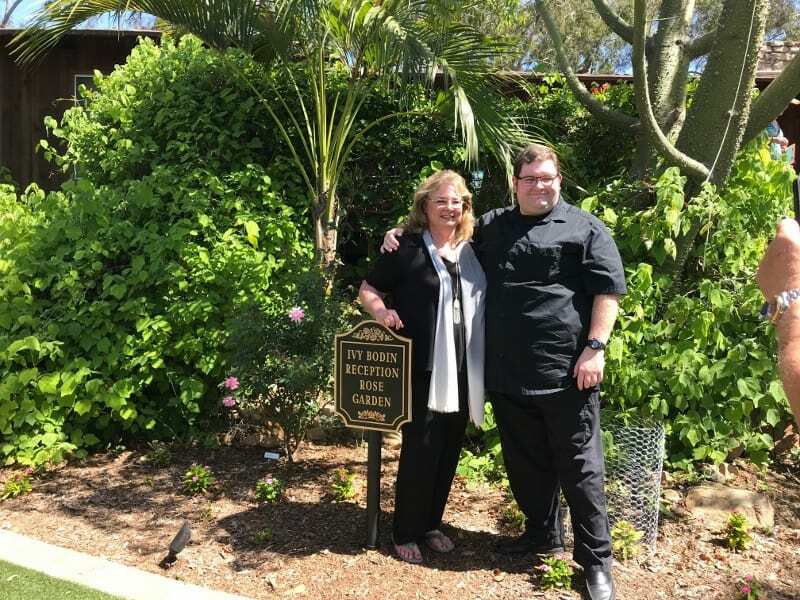 Ivy’s niece, Honda Mc Fadden unveiled the new dedication plaque. 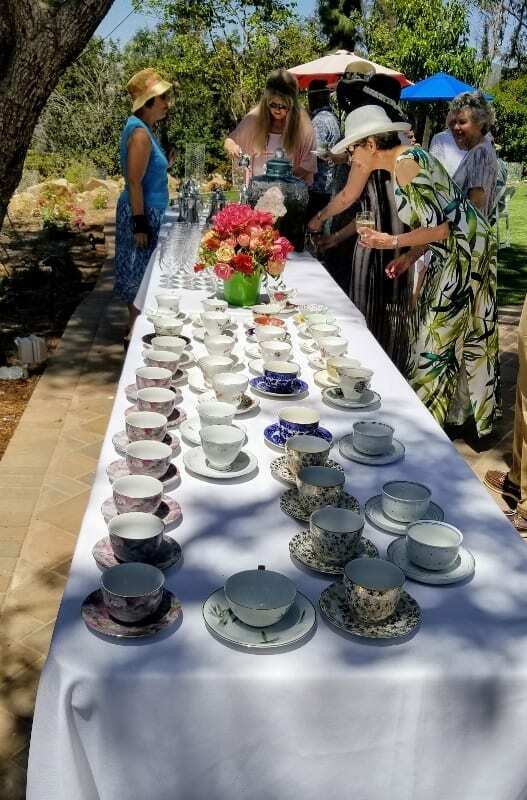 The afternoon tea featured assorted cold herb teas and hot teas served in silver tea service on beautiful china dishes and tea cups. 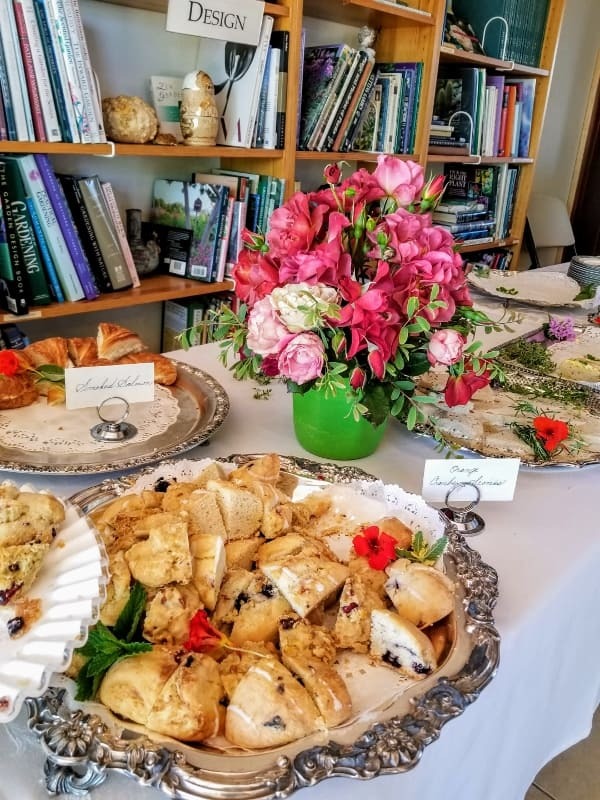 Guests enjoyed assorted tea sandwiches, scones, mini-cakes and fresh strawberries. 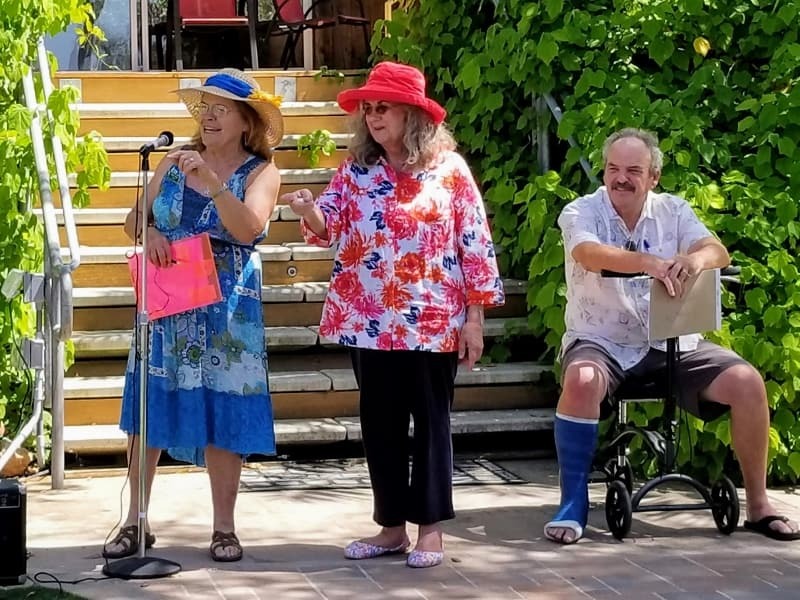 The volunteer group of people who helped put on this fabulous event were: Becky Yianilos, Naomi & Bill Stein, Michelle Petitte, Carole Lee, Gail Stram, Mary Murphy, Lois Walag and Joi Walsh. 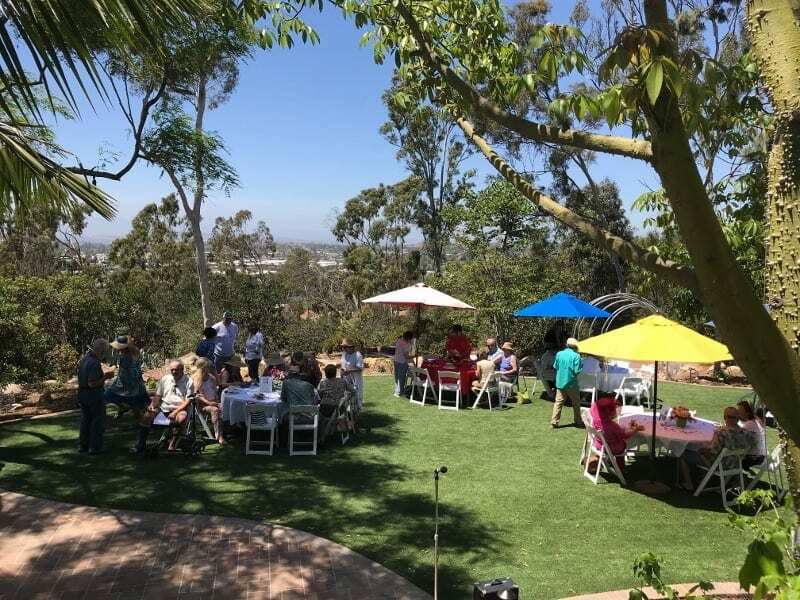 We are a unique hilltop Botanical Garden featuring a wide variety of plants as well as a gathering place for the entire North County Community. 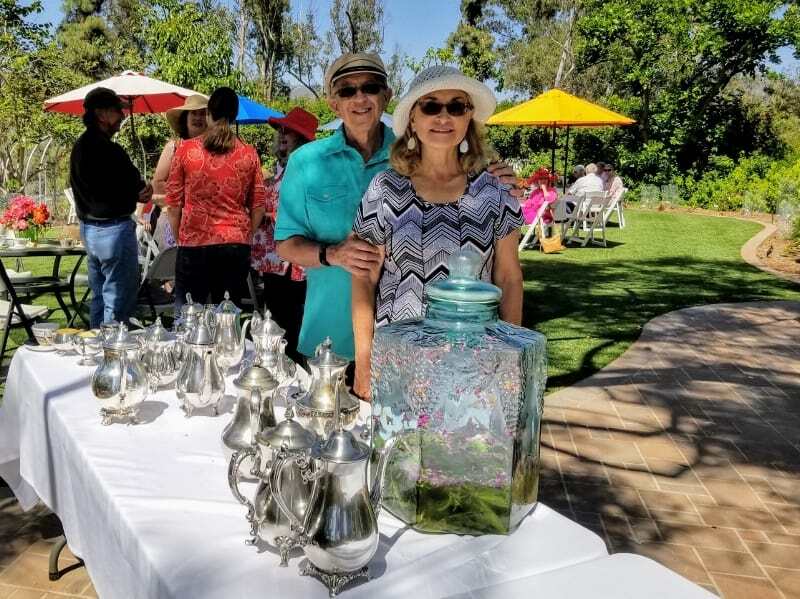 Our key attraction is the integration of art and sculptures throughout the 14 acres featuring local talent at our beautiful location where educational and enriching social activities flourish. Our goals include the protection and preservation of various habitats and the care of noteworthy, beautiful and rare plants of the world. We are a 501(c)3 nonprofit organization that is sustained by local businesses, private donations and fundraisers. •A quiet place to relax, picnic, recharge and enjoy nature with family and friends. Visitors can appreciate scenic vistas, wildlife and the beauty of the plant kingdom. •A center for indoor and outdoor programs featuring all types of educational and hands-on classes for both children and adults. •A place to hold community events, meetings, festivals, celebrations and concerts. The Gardens are a unique location to feature local artisans and merchants, plus plant sales. •Many wonderful nature trails for walking, jogging and an opportunity to observe and enjoy the many themed mini-gardens along the way. 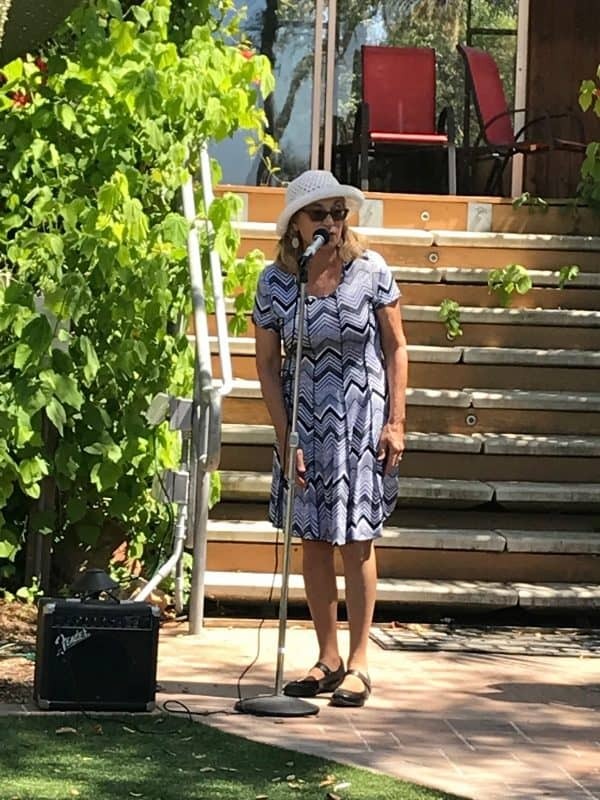 •One of our special motifs is the Bugs, Birds & Butterflies Children’s Garden which includes interactive play, music and a human sundial as well as interesting educational programs. 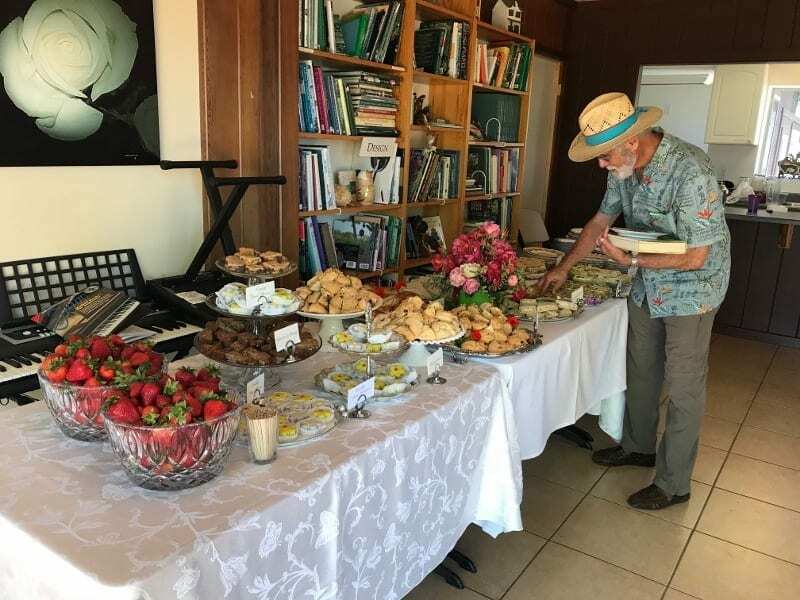 •Other areas include the Labyrinth, Culinary and Medicinal Herb Gardens, Arid, Australian, Rare Fruit, Prehistoric, Native and Jungle Gardens plus beautiful ponds and a cascading waterfall.